Bottles Brings a Modern Vibrancy to one of Millwood’s Charming Historic building. Browse a selection of fine bottled wines for every taste and price. A recent wine of the month was declared as the best wine every had and I purchased two cases for my cellar. Prices are very competitive and good deals are passed along. 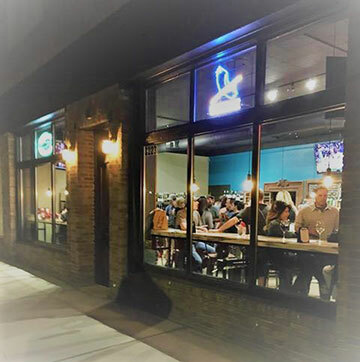 Or enjoy Wines by the Glass at the Argonne window counter, as I am while I create this page, at the bar counter, at one of the small tables or outside on the patio. Looking for a bottle(s) or glass of beer. Five coolers of cold bottles and cans feature a wide variety of today’s craft beers. Join friend for a glass from the Tap with up to 23 to choose from. Notice: Clicking on the links to the right to take you away from Millwoodnow.org. Parking on street and lot behind. Click Here to get started on your portfolio.